The South DM Seahawks are in full swing for the 2014-15 Winter season with their first home dual meet behind them and USA swimmers looking to this weekend for their big DMSF Winter Invitational. 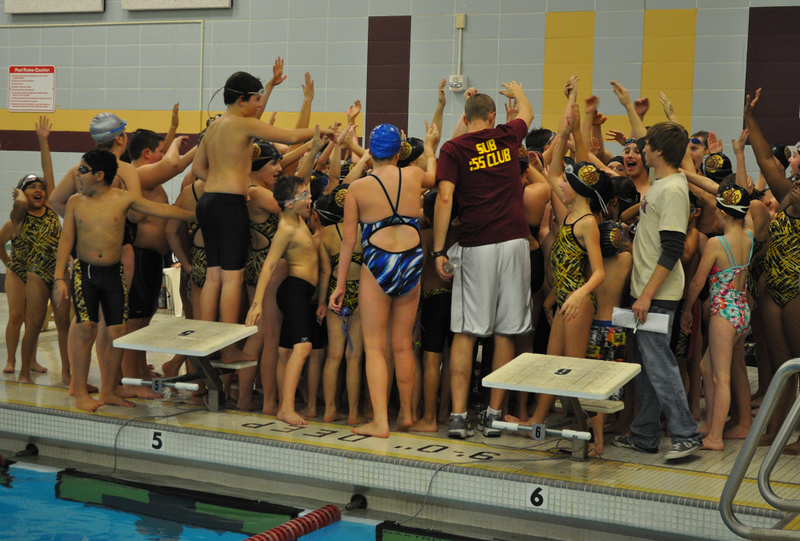 Beginner swimmers took action at DM Lincoln last night in their first swim meet and did outstanding! Boys and girls, seeded together, raced to try to be number 1, with tons of swimmers setting personal best times early on in the season. *Maddie Dowling going a :32 in the open 50 freestyle, her best time ever! *Erica Benson dropping 8 seconds in her 200 free with a time of 2.30! *Brianna Neifert going a :40.82 on her 50 backstroke! Congratulations to all of the swimmers for competing last night, now is the time to work hard in practice every day to get better for the next meet!